Stories of New York City's fabled art scene conjure up artists' lofts in SoHo, studios in Brooklyn, and block after block of galleries in Chelsea. But today, no artist can afford a SoHo loft, Brooklyn has long gentrified, and even the galleries of Chelsea are beginning to move on. Art on the Block takes the reader on a journey through the neighborhoods that shape, and are shaped by, New York's ever-evolving art world. 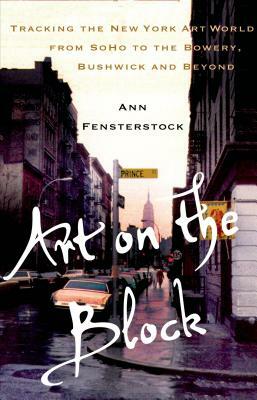 Based on interviews with over 150 gallery directors, as well as the artists themselves, art historian and cultural commentator Ann Fensterstock explores the genesis, expansion, maturation and ultimate restless migration of the New York art world from one initially undiscovered neighborhood to the next. Opening with the colonization of the desolate South Houston Industrial District in the late 1960s, the book follows the art world's subsequent elopements to the East Village in the '80s, Brooklyn in the mid-90s, Chelsea at the beginning of the new millennium and, most recently, to the Lower East Side. With a look to the newest neighborhoods that artists are just now beginning to occupy, this is a must-read for both art enthusiasts as well as anyone with a passion for New York City. Ann Fensterstock is an art historian and a collector who serves on boards and committees at several museums and nonprofits in New York City and Washington. She speaks regularly on contemporary art and lives in New York City.